Digital sample is a kind of printing sample which is printed by digital printer, such as HP Indigo, and bound to be a final book. For mass products, we print by offset printer. But the sample is printed by digital printer. So the digital sample color and mass products color will be a little different. Meanwhile, the digital printing sample is used digital printing paper. The paper is also a little different. 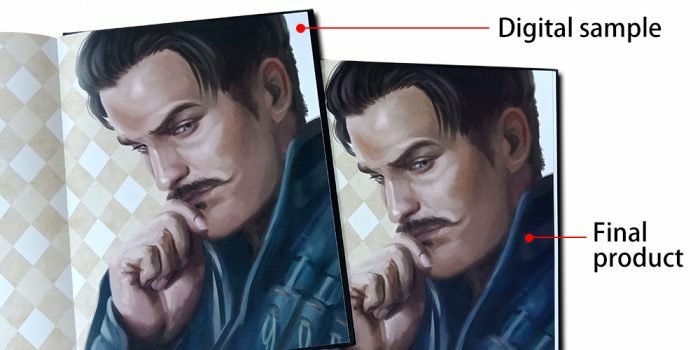 The digital sample is showing what’s the final product result. For example, what’s the book estimate thickness, how the book looks and more. But the color details are different. For basic request, the digital sample is okay. If you need to check the color details, the hard proof and offset printing sample is better.